Hello there, I know you must have missed me and I have left you guessing what the fourth day in Prague brought. We got up early to see off all our friends that were having early flights back. Our departure time was not till 2pm that day and myself, Jules, Jerome and Valerie decided to visit the Jewish Quarter before having some lunch. I haven’t got any photos from this day as you were not supposed to take any (I did do before I saw the signs and I got told off of course which was very embarrassing, oops!! so I immediately deleted them all I felt very upset to think I was considered disrespectful). The museum was very moving and the children drawings reduced me to tears, which was a bit embarrassing for my fellow companions (I am not good at concealing my emotions sadly). After some lunch we headed back up to the hotel enjoyed a nice cup of coffee said goodbye to the two lovely Kellie's (Events team for SU) and set of for the airport. Just as we arrived the heavens open and I have never seen rain like, but we were safe and dry inside the airport and before we knew it we were on our way to Dusseldorf. Our connecting flight went smoothly this time round and we were soon on British soil again. As I have come down to Earth from this amazing experience I am counting my blessings for being able to experience such lovely trips shared with such lovely and warm people that make my life better. I love this Company for the way they listen to their demonstrators and the way they reward hard work. I have the best job out there and I LOVE IT beyond words. 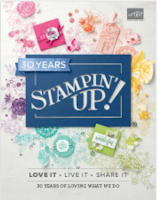 If you would like to start your own adventure with Stampin’Up! ask me how, I would love to share with you what I have learned in the last 3 years of being a successful demonstrator, contact me at telemech01@aoldotcom. I have used River Rock, Whisper White and Basic Black. I tend to use this combo a lot when I think Sympathy Cards. 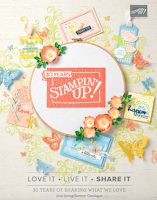 The stamp set used is Strength and Hope and the sentiment from the Hopeful Thoughts stamp set. I have added some rhinestones but not to many, the flutter was cut and popped onto dimensionals and the motif was stamped twice using River Rock ink. I find sympathy cards so hard to make it took me nearly two hours to arrive to this very simple design, you wouldn’t think it would you looking at it ? Anyway thank you for stopping I hope to see you sooner next time, I want to thank you all for your amazing comments regarding my trip, thank each and every customer that supported me as well as my fabulous team of Passionettes that worked so hard to promote YOU ARE ALL FAB!!!! Monica your card is beautiful! I am going to make a few of these to have on hand "just in case". A beautiful card even though it's for such a sad occasion. Lovely card, sympathy cards are so difficult but I think this strikes just the right note. Much joy tinged with sadness Monica. Your trip was fascinating to read about. your card's beautiful; thanks for journaling your trip with us, as it's been so amazing!